We asked our friend Panos Kakaviatos of Wine Chronicles to recount his days this year at en primeurs week (or “wine futures” week) to help bring our readers to latest information on the 2014 vintage from Bordeaux, Burgundy, the Rhône Valley and Port. 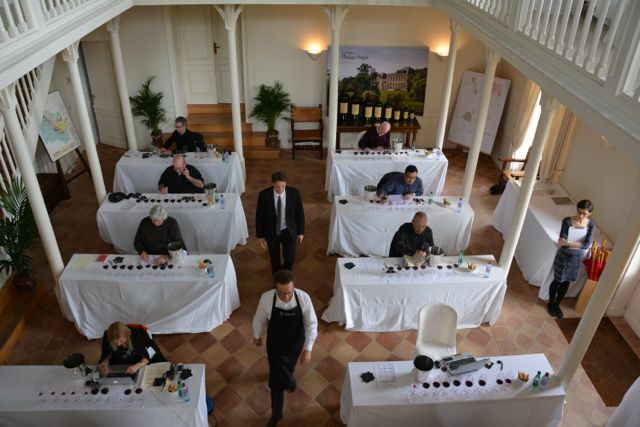 This is the final segment, in which he offers an overall assessment of the 2014 Bordeaux vintage. The final numbers proved to meet expectations of UGCB president Olivier Bernard, who reported some 20,000 participants coming to taste 2014 barrel samples: the highest number of participants since the 2009 barrel tastings in 2010, he said. Customers certainly have dollar signs in mind. Bernard, who is also owner of Domaine de Chevalier, reiterated a call to chateaux to release wines at a “sensible price” for Eurozone countries, which should allow a favorable exchange rate to provide a discount for buyers elsewhere (including us in the United States). “If Europe is a buyer, then the U.S., U.K., China and Japan will purchase 2014 futures,” Bernard said. Well, we shall see. As for the quality of the vintage, it was good to read positive feedback from fellow wine writers across the globe. It is always reassuring to find fellow writers who agree with you, too. For example, the great Bordeaux-based author and critic Jane Anson agrees with me that two of the very best barrel samples were Vieux Château Certan in Pomerol and Montrose in Saint Estephe. And we both were impressed with Langoa Barton, in one of its best from barrel performances ever. 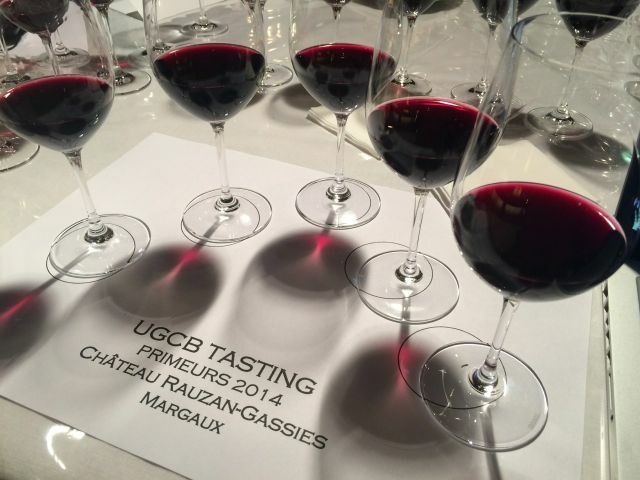 At a blind tasting of Margaux wines, almost everyone in the room – from over 10 different countries – marveled at the strong performance of Château Labegorce. For veteran Swiss wine writer Yves Beck, 2014 comes off as a “very good year” with some “great wines”. According to Paul Pontallier of the famous Château Margaux, “It is not quite as good as 2010, 2009 or 2005, but it is the best of the very good recent vintages.” Many observers agree with that notion. As a lover of wines with vivacity and freshness, I particularly recommend the vintage and my message to Total Wine buyers is you can seek out 2014 with confidence. The team at Total Wine will work hard to get you a very broad selection, so you will be able to find whatever style (and price point) you want. Check out my full notes at wine-chronicles.com. If you have any further questions you can send me a tweet or write me at panos@wine-chronicles.com.